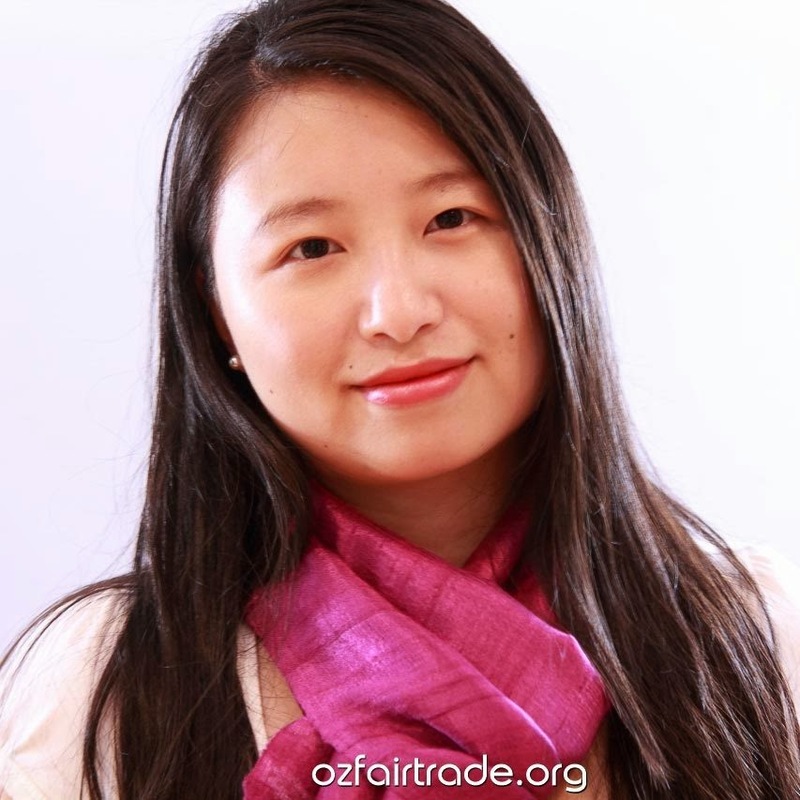 I recently had the opportunity to interview Qinnie, founder of Oz Fair Trade. L : Tell me about your trip to Southeast Asia - did you go there with an intent to investigate fair trade issues, or as a tourist? Q : I took an Intrepid Tour to Southeast Asia in late 2012, which was intended as a relaxing holiday. It was the first time that I visited these countries (Laos, Cambodia, Thailand, Vietnam), and I certainly did not expect it to change my life. Having grown up in Shanghai and then Sydney, I never witnessed extreme poverty firsthand. . . when we visited a village on the bank of Mekong River in Laos, I was still shocked to see how tough life was for these people. Houses were made with bamboo and mud; children were drinking from a dirty river; and there was no school. I left with a heavy heart, and looking back, that was the moment that my life was changed. [After learning about undetonated bombs from the Vietnam War and Cambodia's landmine problems] I returned to Australia with a burning desire to make an impact. I learnt that traditional aid was failing to break the poverty cycle, and that new thinking is required. L : What were the first products you decided to sell? 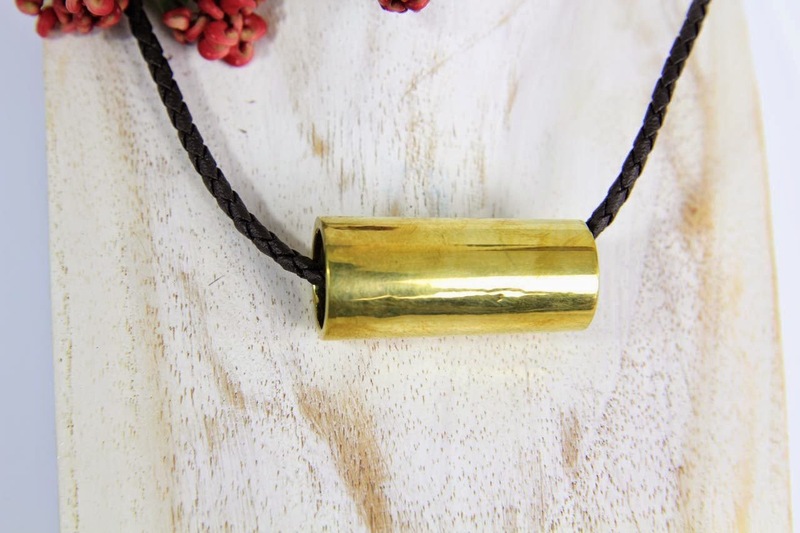 Q : The first products I had online were handmade jewellery from Yunnan, China and handwoven silk scarves from Thailand and Laos. I fell in love with colourful ethnic culture and I wanted to sell products that were unique and outstanding. Since then, I have learned a lot more about fair trade and I have learnt to choose my suppliers more carefully. 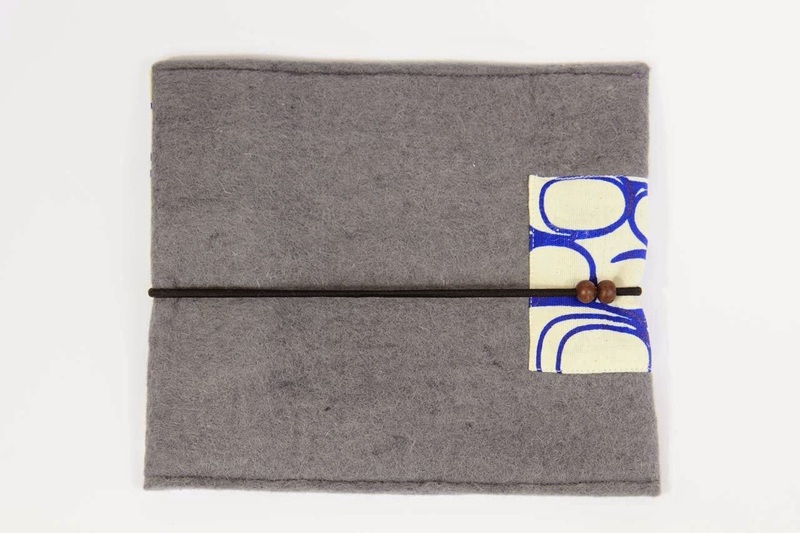 I have also learnt that the future of fair trade is mainstream, so I have been sourcing products that are ethical alternatives to everyday living. L : Are all the products Fair Trade certified? Q : I think it's important that shoppers know where products come from, so I'm totally transparent about supplier information. 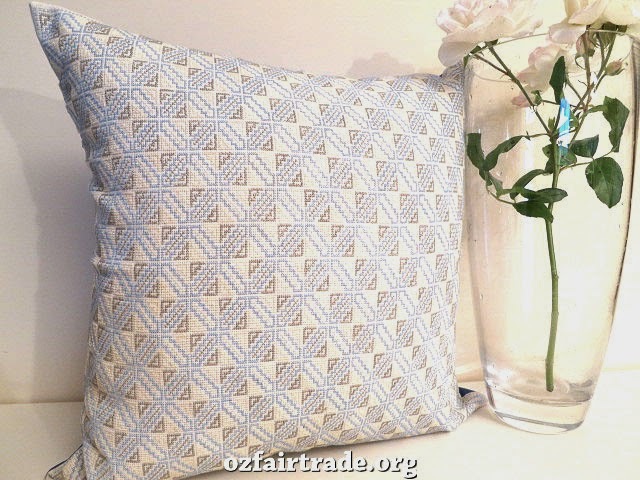 Currently more than 90% of Oz Fair Trade products are from certified Fair Trade producers. While food can be labelled ''Fair Trade", handicrafts cannot. They can only be certified at the producer level. The other 10% [of products on the site] come from small villages where women work from home to supplement income. I think it's important to know that not all groups have the capacity to go through the certification process. This is one area I will discuss with the Fair Trader of Australia as part of my application. 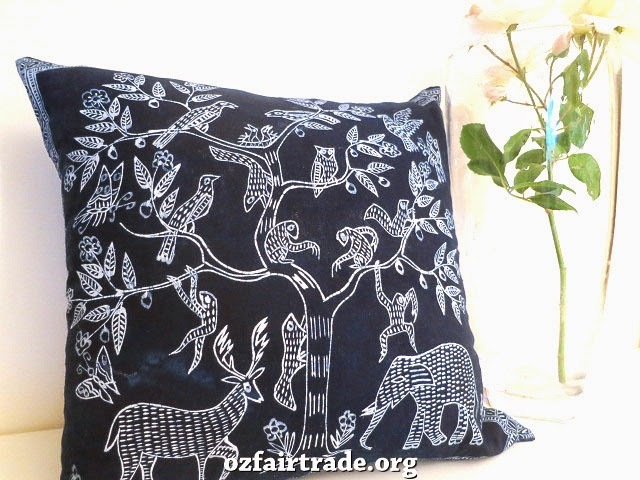 I was to be a certified Fair Trader so that shoppers can have complete confidence in the 'fairness' of the products that Oz Fair Trade sells. L : Do you have a favourite product on your site right now? 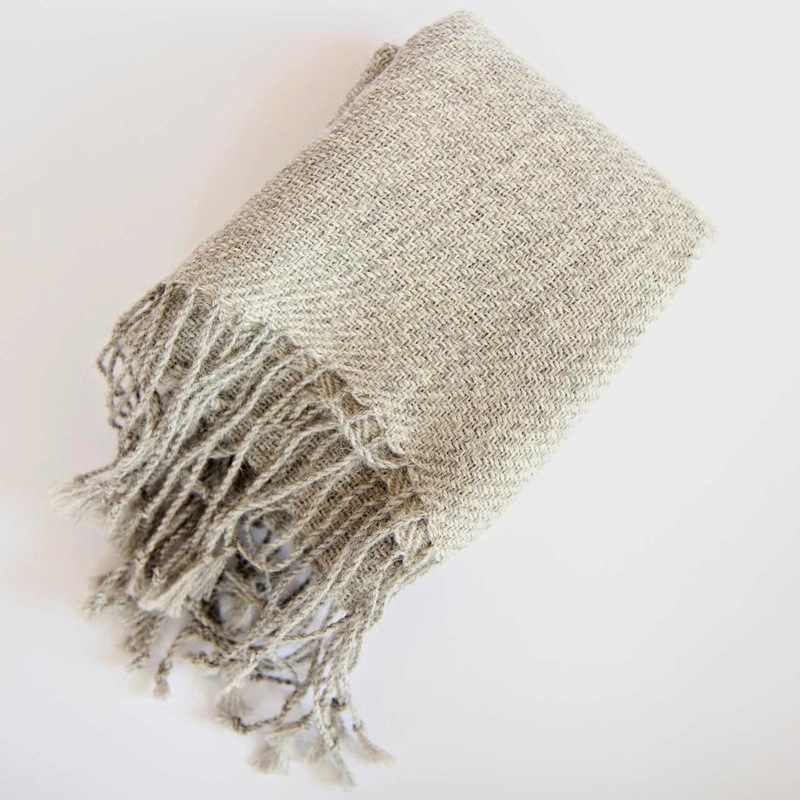 Q : My current favourite product range is alpaca winter scarves from a certified Fair Trade producer group in Bolivia. They are very soft and warm. I helped them to design the current range, and I wanted to help them to earn an income in their summer months (i.e. Australia's winter). 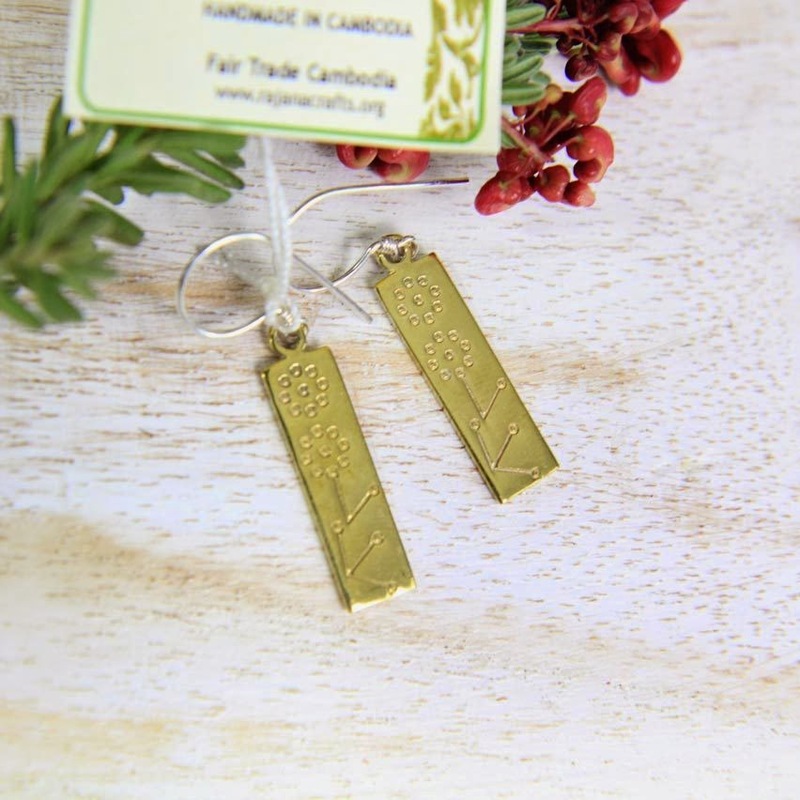 My all time favourite is the recycled bombshell range, which helps to spread the message of peace and shows the resilience of Lao and Cambodian people. Many customers have commented on how amazing it is that something so terrible can be turned into something so beautiful. L : I see you have an interest in microfinance - tell me why this is a passion of yours, and how it can make a difference? Q : My profession as an actuary led me to learn a bit about microfinance. I am a huge fan in collective power and innovative ways to link those who are willing to help and those who are desperate for help. I have been lending through Kiva since January 2013, and only just thought of linking my lending activities on Kiva with Oz Fair Trade. I have also been helping the Actuaries Institute to build a microfinance website to foster greater discussion and understanding of microfinance within the actuary profession, because I believe that we have a great skill set to contribute to the cause. I see fair trade and microfinance as two long-term strategies for poverty reduction. Many people don't have access to basic financial products like a saving account or a mortgage loan, which Australians take for granted. For example, a shop needs inventory, and without initial investment it is impossible to open a shop. Another example is farming, which requires crops and fertilisers. Microfinance allows these people to gain access to small loans to start a new business, plant new crops, build a house, etc. For every $100 spent on Oz Fair Trade, a $25 loan will be provided to the world's poorest through Kiva. Well! What an inspiring and dedicated woman you are, Qinnie! I loved hearing your story and seeing your passion put to work to give people around the world a hand up.